M. Luis delivers the safety utility providers require. Ensuring an incident-free work zone can be difficult. 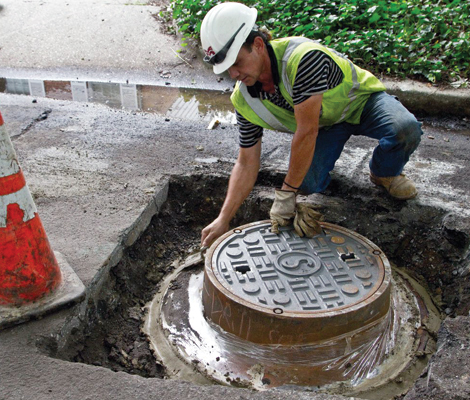 M. Luis’s dedication to safety and quality helps you meet difficult safety requirements and reduce the risk of damage to buried gas and water utilities. Once excavation is complete our expert streetscape team can take care of all the street repair and landscaping needs for site remediation, returning it to original or better condition. Among the many advantages that you have as a result of choosing M. Luis as your partner are our diversity and turnkey services. They highlight our commitment to providing you with an outstanding result on every project. The company’s MBE/WBE designation helps you meet your MOU requirements. Learn more about how we help utility providers with asphalt manufacturing and construction services.